It's quite ironic when you consider that of all the birds of the world, the one whose wings we love the most belong to flightless fowl. But it's true: Chicken wings are a major foodstuff, and not just during football games. 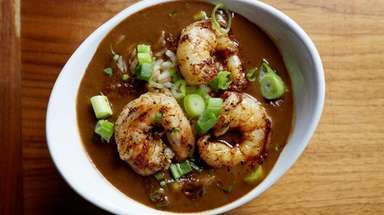 Though at some venues the in-demand limb is only a popular appetizer, at others it is the center of the business. 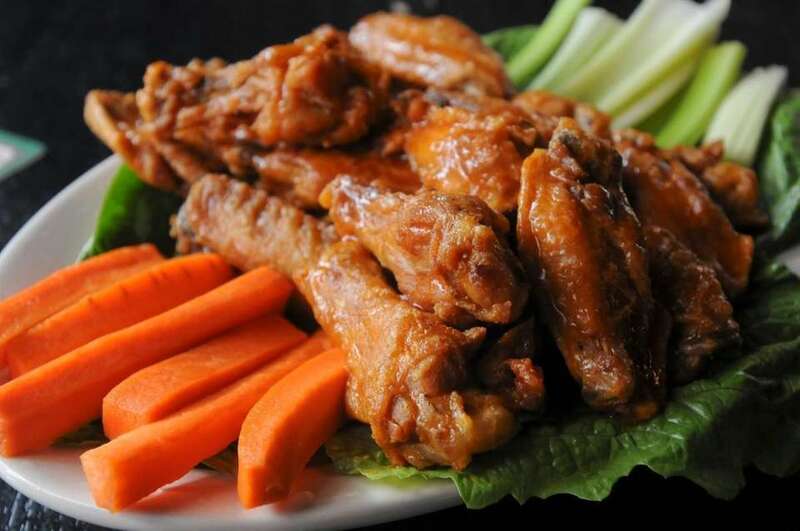 Available in all sorts of sauces and sizes, here are some recommended spots for wings -- from the upscale to the down-home -- on Long Island. MB Ramen, Huntington: Sticky icky wings are tossed with Korean barbecue sauce and paired with shiso ranch dressing at this ramen shop. 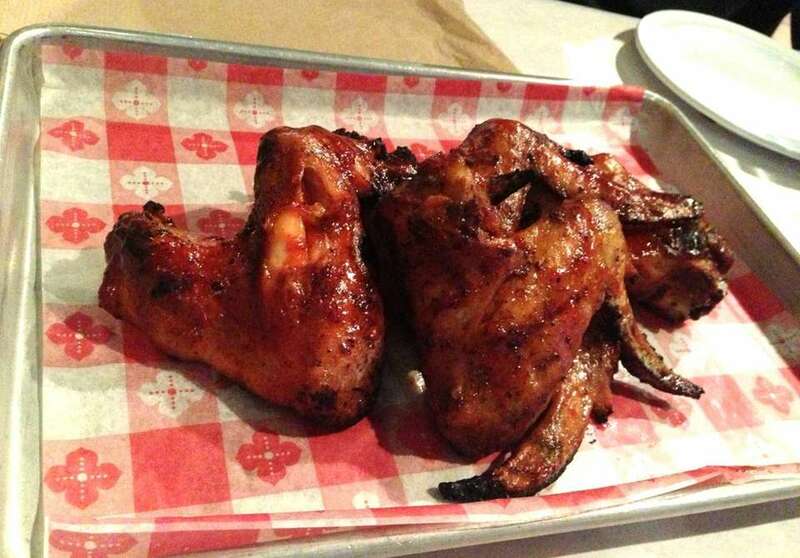 Addy's BBQ, Elmont: Jerk-flavored chicken wings are served at this barbecue joint. 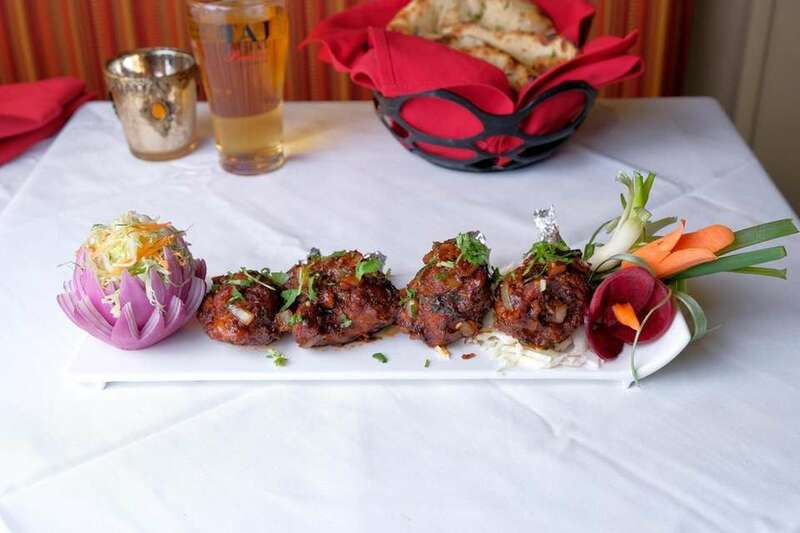 Taj Indian Fusion, Wantagh: "Drums of heaven," Hong Kong-inspired sweet-spicy chicken wings, are a leading appetizer at this Indian eatery. 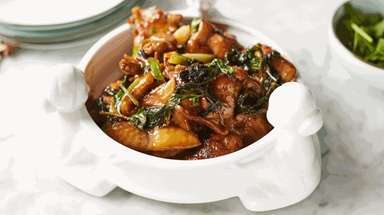 Crabtree's New York & Main, Huntington: Japanese-style chicken wings are brined in sake, mirin, ginger and turbinado sugar, then glazed with Thai sweet chili and ranch dressing at this eatery. 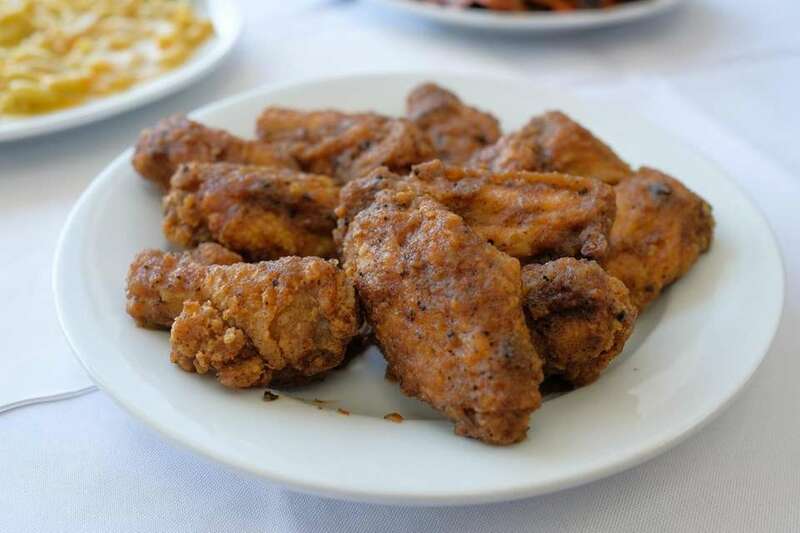 Sempre Fame Gourmet Grill & BBQ Catering, Floral Park: Smoked and fried wings are tossed in a combination of barbecue and Buffalo sauces at this barbecue spot. Clay Oven, Hauppauge: Tandoori chicken wings are blistered to a beautiful char on the outside, resulting in a spicy red-tinged crust that gives way to meat that falls off the bone at this South Asian eatery. 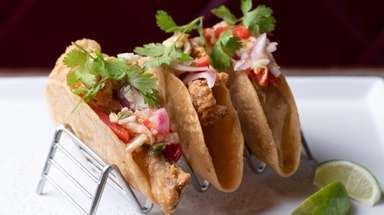 Del Frisco's Grille, Huntington Station: At this spot, buffalo-style lollipop chicken wings are served with crumbled blue cheese and a side of avocado ranch dressing. 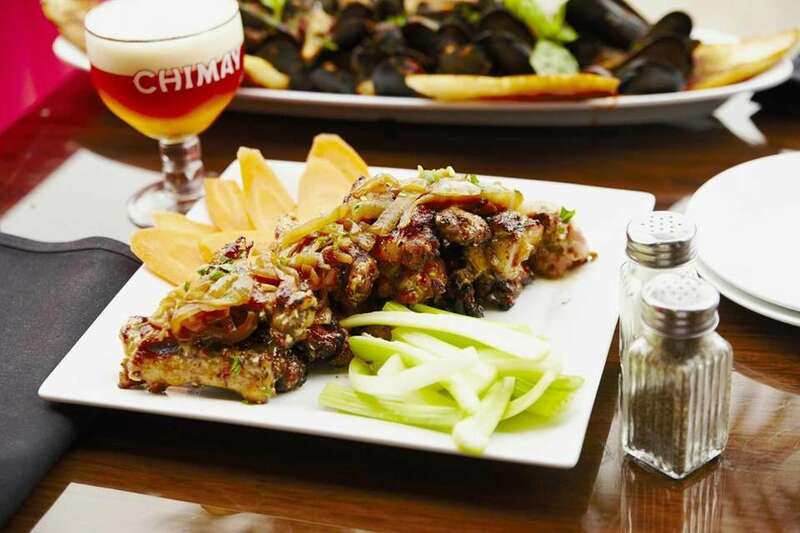 The Grill, Hauppauge: Try the oven-roasted, dry-rubbed chicken wings with jalapeno glaze and chipotle blue cheese at this Hauppauge eatery. New York Burger Bar, Massapequa: Honey BBQ wings tossed in a house-made sauce with a side of blue cheese are meaty, sticky and satisfying at this eatery. 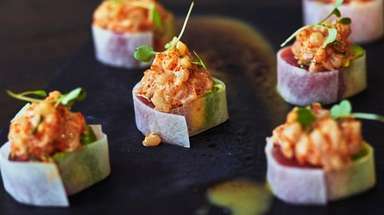 The Rolling Spring Roll, Syosset: Among the starters at this spot, chicken wings are an exciting surprise, a rendition that sings with garlic and seduces with crispy rice-flour batter. 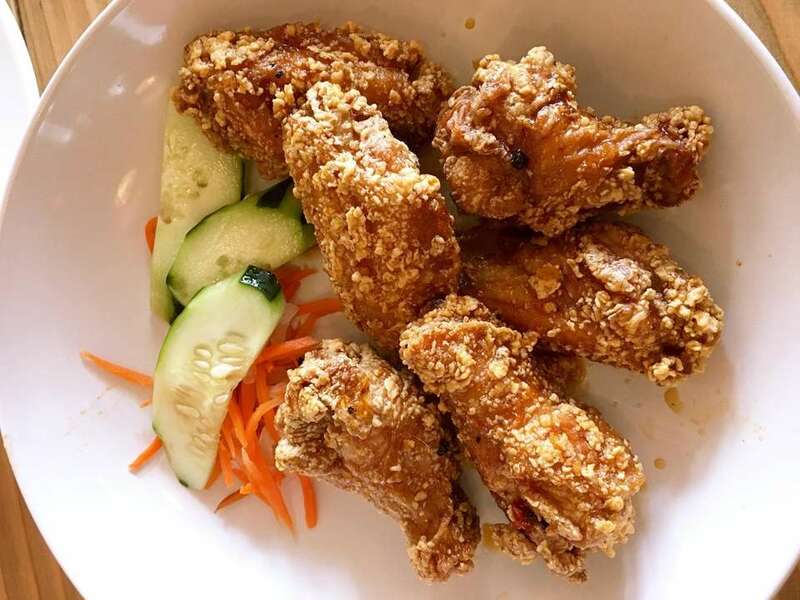 PeraBell Food Bar, Patchogue: Fiery and addictive, PeraBell's chicken wings come in Buffalo (pictured), Mandarin, barbecue and Italian varieties. Brixx & Barley, Long Beach: A successful starter: wings, with caramelized onions and garlic. Bobbique, Patchogue: Bobbique is consistently one of the best spots for barbecue on LI, and that includes the jumbo barbecue chicken wings. 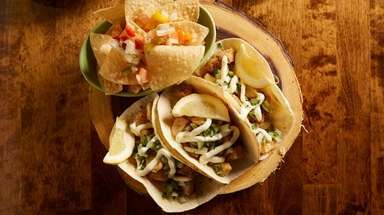 Hurricane Grill and Wings, Syosset: The laid-back chain offers wings both boneless and bone-in, and you can order a sampler with up to four different flavors. DirtyBurger, Plainview: Dirty dusted (right) and barbecue wings are served with ranch dip and veggie sticks; they're also available in classic Buffalo style. Buffalo Wild Wings, multiple locations: With both bone-in and boneless varieties, the national chain offers some 21 wing varieties, from a mild salt-and-vinegar rub to the off-the-charts "blazin'" sauce. Long Island locations include North Babylon, Farmingdale, Centereach, Bay Shore, Hicksville and Riverhead. 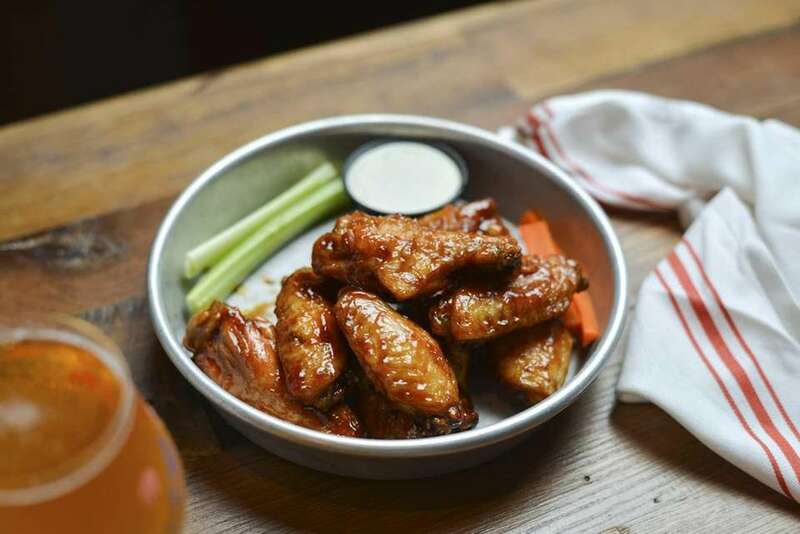 Croxley's Great American Ale House & Beer Garden, Rockville Centre: Wing flavors range from cry like a baby to Italian stallion, Korean barbecue to tequila lime. Other LI locations are Croxley's Public House, Farmingdale; Croxley's Original Ale House, Franklin Square; and Croxley's Ale House & Biergarten, Smithtown. 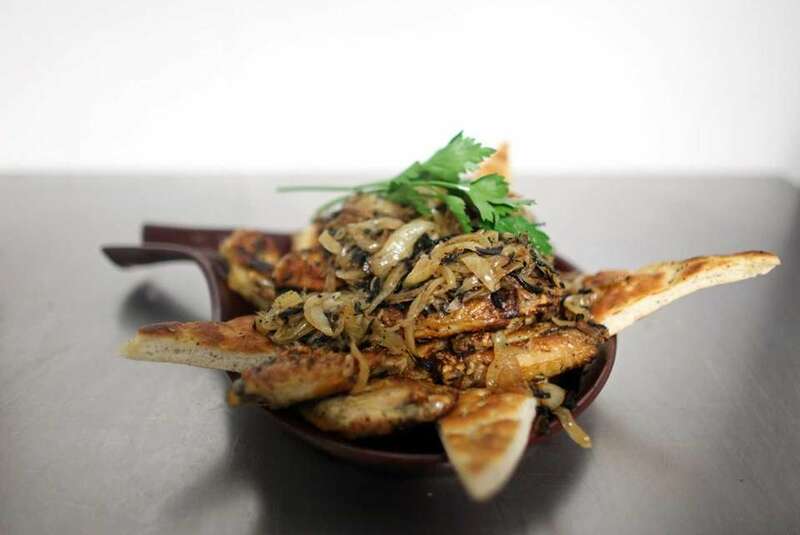 Anthony's Coal Fired Pizza, multiple locations: Here, chicken wings are served with caramelized onions and focaccia. Long Island locations include Bohemia, Carle Place, Commack, Great Neck, Wantagh, White Plains and Woodbury.